It’s so very rare that I throw a gauntlet down, they are expensive pieces of metallurgy and tossing it aside is not something I economically recommend. In the backdrop of the DreamCage digital staffroom we had the opportunity to pick out a couple of movies to dedicate to the RPO project and lighten the load across several people. Marc Nash, another fine writer of the DreamCage crew, decided to not only take my beloved Terminator 2 movie from my greedy fingertips but furthermore had the audacity to proclaim it sub-par. Now I’ll accept Mr Nash has the right to have a wrong opinion, but I cannot let this call to arms go unchallenged. Still… We do agree on a few things. The tone of Terminator 2 is very different to its predecessor. Acknowledging the action-thriller cow had been bled dry by 1991 there was a desire to create more than just beef cakes and bullets. The problem is any movie about time-travel has inherent flaws, primarily because logic cannot apply to something which is technically illogical. 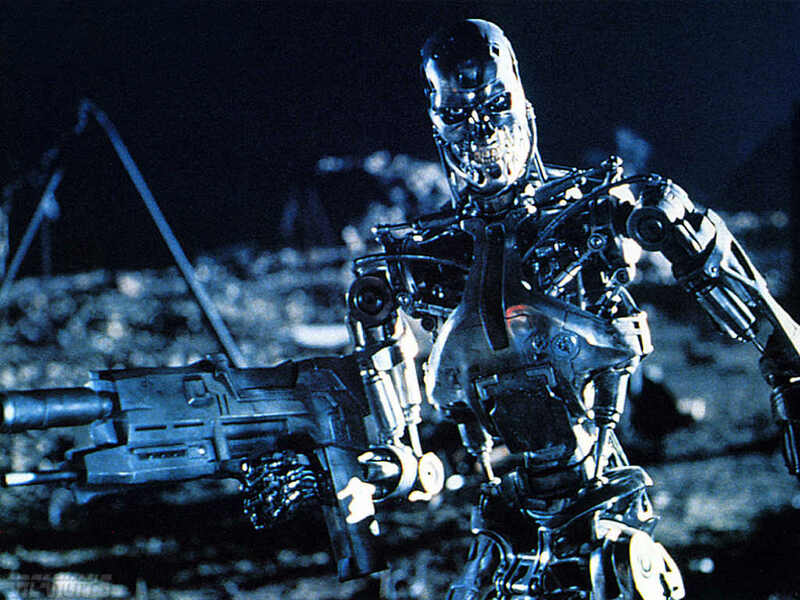 I mean the question as to why SkyNet decide to stagger their assassination plans alone is completely beyond me and is the backbone of the plot. 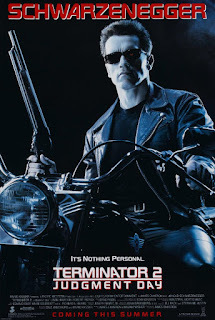 So while I count Terminator amongst 101 time travel movies with excessively large plot holes, including the original, I am going to piece together 5 solid reasons why Terminator 2 is worth watching again in spite of anyone may say… Even Mr Nash! When you are making a movie about a killer you can keep it simple; make it big, scary and pseudo-human. So the T-800 model is a great staple for the silent antagonist in T1. 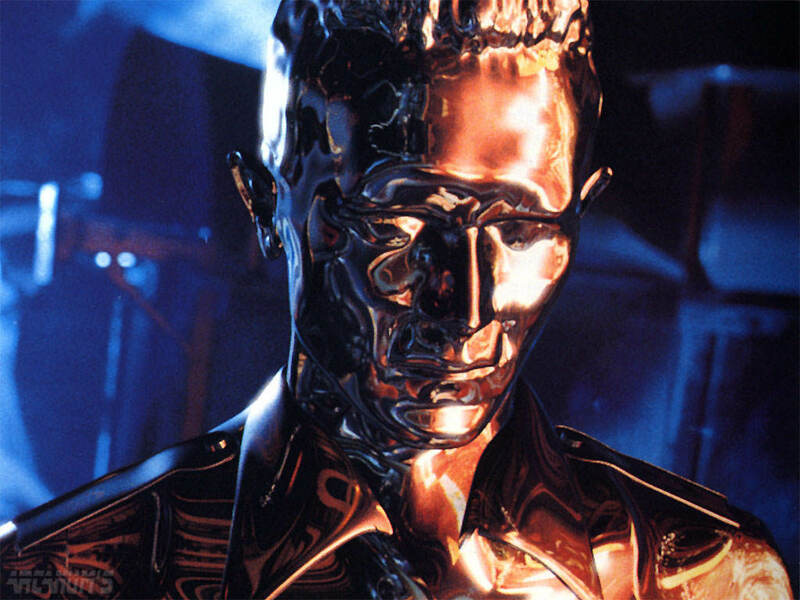 Once you’ve accepted Sarah Connor is going to poop out porcelain upon seeing another Austrian robot Skynet will have realised subtly could play a role and so we have the T-1000, a fully autonomous, overtly shiny liquid metal dream that is both deadly and subversive. The T-1000 feels more like an adaptive clever assassin in the movie by interacting with the world around him beyond the occasional scowl. I’m not saying he has a personality per say but at very least he plays a part in the world we know allows plot to develop around the antagonist. Throw in the foreboding ability to be almost indestructible, relentless, covert and excessively clever it has everything you need to feel the T-1000 could succeed in his mission. Y’know, short of a visit to the local steel mill. 2 – Sarah Connor, again. 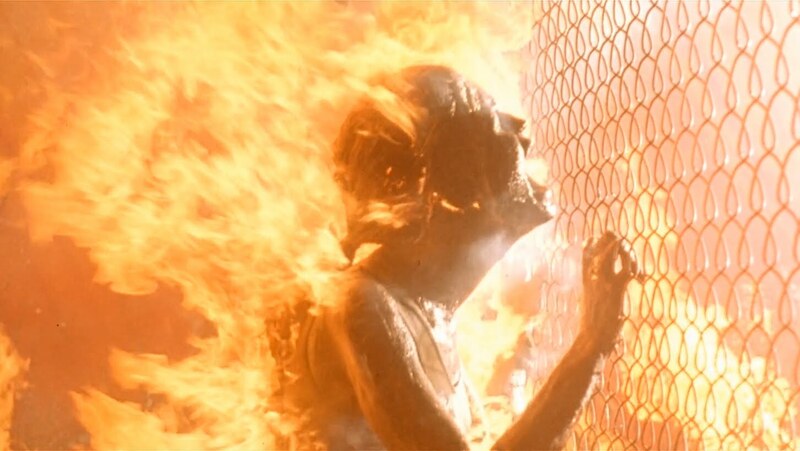 It’s hard to imagine a Terminator movie without repeated mentions of Sarah Connor, it can be a little bit excessive. But T2 (not to be mistaken with Trainspotting for this article) does something logical with the character following the end of T1, they lock her seemingly insane brain into the loony bin. While we know she is right about everything that happened in T1 it’s fair to say the world we live in without T1 awareness would consider her bat-poop crazy. Having Sarah become skittish, jaded and borderline psychopathic is the most appropriate and perfect development to the character. Since T1 was brave enough to put a female protagonist directly in the limelight it’s great to see Sarah’s importance as a character and not just a damsel. She is tortured by a mental health team, drugged excessively for long periods of time, never lets go of her “delusion” and then once she is free has a full mental break down over the attempts to kill Miles Dyson. T2 did Sarah Connor justice and that must be acknowledged even if she isn’t the main protagonist. 3 – Good awards for good reasons. It’s strange for me to use accolades as a measure of success, I write about Indie Video games mainly! But the same awards T1 was able to snap up were granted to T2. Saturn Award for Best Science Fiction Film and Best Writing are a shared achievement but T2 got Cameron Best Director when it was only nominated for T1. 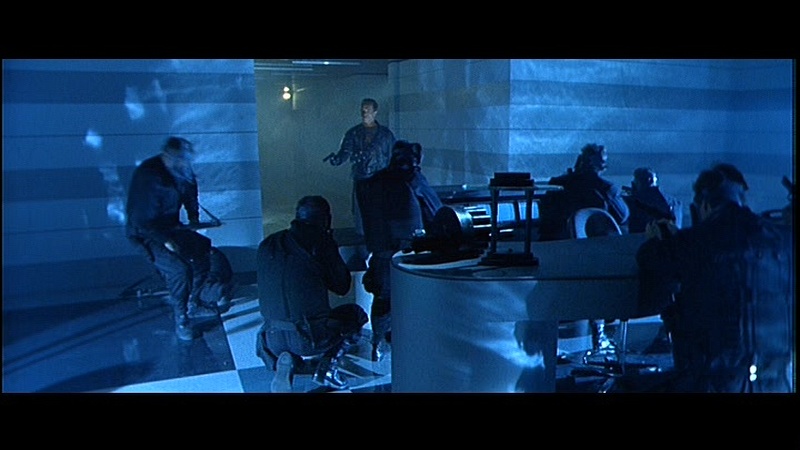 T2 also stood out for its impressive special effects balancing the looming CGI presence along with practical special effects, stunt doubles and good ol’ fashion controlled explosions. It strangely also attracted awards from Japan Academy and Mainichi as best Foreign Film. If you ever needed confirmation remember that this cinema sin removing scene was created over 25 years ago and it still impresses me to this day. 4 – It’s a standalone sequel. I am not comfortable saying if I preferred T1 or T2, they were both great and for very unique reasons. But what I think is true is that T2 is a genuinely good sequel in a time where sequels just… never matched up to their predecessor. It could be because the concept never developed enough to stand alone or perhaps directors/writers changed hands overtime but as a general rule the 2nd movie is rarely the best one and the 80s/90s are full of examples; Karate Kid, Airplane, RoboCop, Superman, Jaws, Predator, Rocky and hell I’ll even include Grease in there for good measure. These are not small movies either, well established and appreciated concepts which had the potential to be Aliens to Alien or New Hope to Empire Strikes Back. It was able to do this because it dared to be a movie which could stand alone. 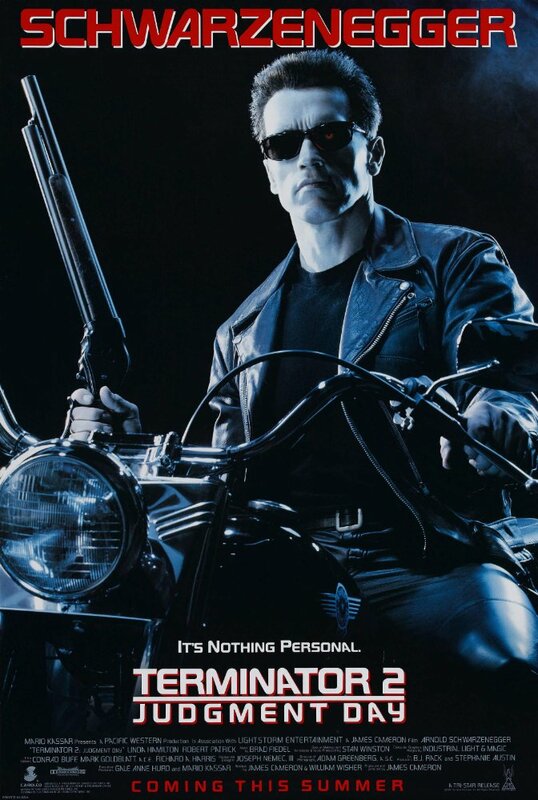 Because of my age I watched T2 before T1 and I never felt like I was missing anything, it was self-defining. You could theoretically never see T1 and T2 would still make sense based on the narrative provided. But my point is no matter where I look, no matter the year, no matter the demographic Terminator 2 seems to gravitate towards positive opinion. While I am not willing to say Terminator 2 is the best movie ever, I think the people have spoken. Images from IMDB/Amazon, Video from Cinema Sins.